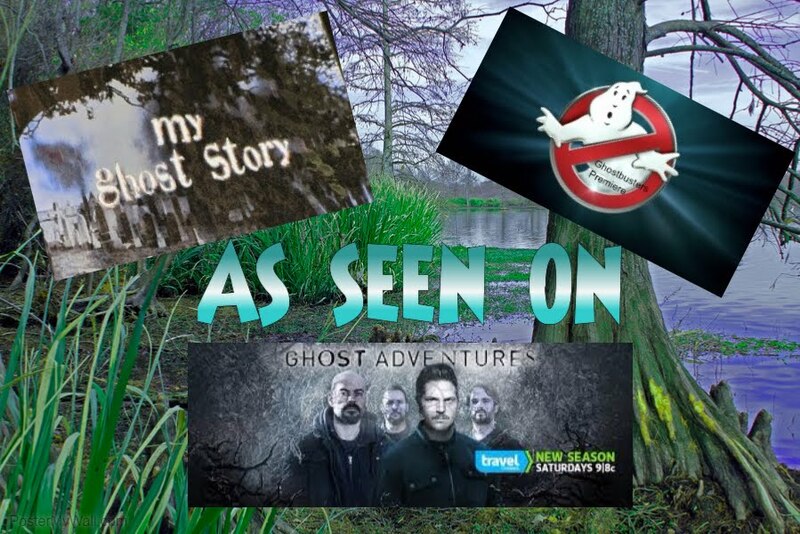 Becky Vickers(BECKS) - Everyday Ghost Hunters/Goatman's Bridge Ghost Tours: THE WINCHESTER HOUSE-SPIRITS NEVER REST AND NEITHER DID SARAH WINCHESTER! THE WINCHESTER HOUSE-SPIRITS NEVER REST AND NEITHER DID SARAH WINCHESTER! OMG! I'm headed on vacation this week and I CAN'T WAIT!!! The Winchester House is FIRST on my stop!!! I am going to be completeing two BUCKET LIST items this next week The Winchester House and Alcatraz! I wrote about Alcatraz last week so this week I thought I would write aboout The Winchester. Born around 1840, Sarah Lockwood Pardee was the daughter of Leonard Pardee and Sarah Burns, a carriage manufacturer in New Haven, Connecticut. Known as the “Belle of New Haven,” Sarah enjoyed all the advantages of a cultured upbringing, including an education at the best private schools. She spoke four languages and played piano beautifully. In 1862, Sarah married William Wirt Winchester, son of Oliver Fisher Winchester, Lieutenant Governor of Connecticut and manufacturer of the famous Winchester repeating rifle. The couple’s life together was happy, and they moved in the best New England society. However, in 1866, disaster struck when their infant daughter, Annie, died of then mysterious childhood disease marasmus. Mrs. Winchester fell into a deep depression from which she never fully recovered. Fifteen years later, in March 1881, her husband’s premature death from tuberculosis added to Mrs. Winchester’s distress. It is said, she ultimately sought help from a spiritualist. Is it Mystery or Misery? According to some sources, the Boston Medium consulted by Mrs. Winchester explained that her family and her fortune were being haunted by spirits – in fact, by the spirits of American Indians, Civil War soldiers, and others killed by Winchester rifles. Supposedly the untimely deaths of her daughter and husband were caused by these spirits, and it was implied that Mrs. Winchester might be the next victim. Whatever her actual motivations, Mrs. Winchester packed her bags and left Connecticut to visit a niece who lived in Menlo Park, California. While there she discovered the perfect spot for her new home in the Santa Clara Valley. In 1884 she purchased an unfinished farm house just three miles west of San Jose - and over the next thirty-eight years she produced the sprawling complex we know today as the Winchester Mystery House™. In the late 1800’s, the Santa Clara Valley presented sweeping vistas of rural open space. It was a serene setting for Mrs. Winchester to begin her building project, which she did with steadfast determination. She immediately hired carpenters to work in shifts around the clock. By the turn of the century the eight-room house had grown into a seven-story mansion! The estate eventually grew to 161 acres of farmland, which included orchards of apricots, plum, and walnut trees to supplement Mrs. Winchester’s income. She also owned homes in Atherton, Los Altos, and Palo Alto. Mrs. Winchester’s financial resources were virtually unlimited; upon her husband’s death she received several million dollars in cash and 777 shares of stock in the Winchester Repeating Arms Company. Upon her mother-in-law’s death in 1897, Mrs. Winchester received 2,000 more shares, which meant she owned just under fifty percent of the company’s capital stock. This provided her with an income of $1,000 a day – back in the days before income taxes. The combination of her wealth and her eccentric building project gave rise to many rumors in the local community. On the one hand, Mrs. Winchester was generous with her employees, paying three dollars a day when the going rate was one and a half dollars. She often paid trades-people in gold coin, and when she went to town they would bring their wares right out to her carriage for inspection. Orphanages and many other local charities benefited from anonymous contributions. She welcomed neighborhood children and let them play on the grounds, even inviting them in to eat ice cream or play the piano. On the other hand, Mrs. Winchester’s interest in seclusion was evident from the start. One of the first tasks of the gardeners was to plant a tall cypress hedge surrounding the house. She reportedly kept her face covered with a dark veil at all times, and there are stories of her firing servants who caught a glimpse of her face by accident. Then there were occurrences that defied explanation. Neighbors would hear a bell ring at midnight and 2 a.m., which according to ghost lore are the times for the arrival and departure of spirits. Some said that Mrs. Winchester never slept in the same bedroom two nights in a row, in order to confuse any evil spirits that might be waiting for her. At the very center of the house is the Blue Room, where Mrs. Winchester supposedly would go every night to commune with the spirits. This room consisted of a cabinet, a table with pen and papers, a closet, and a planchette board – used for transmitting messages from the beyond. Legend has it that she would wear one of 13 special colored robes and receive guidance from various spirits for her construction plans. Mrs. Winchester suffered greatly from arthritis in her later years. She passed away in her sleep from heart failure on September 5, 1922 and was buried at the Evergreen Cemetery in New Haven, Connecticut beside her beloved husband. She was survived by her sister and many nieces and nephews, to whom she left cash and substantial trust funds. She also left cash sums to her favorite employees and a substantial sum to the Winchester Clinic of the General Hospital Society of Connecticut, for the care and treatment of tuberculosis patients. The clinic still exists today as part of the Yale New Haven Medical Center. At the time of her death, the unrelenting construction had rambled over six acres. The Sprawling mansion contained 160 rooms, 2,000 doors, 10,000 windows, 47 stairways, 47 fireplaces, 13 bathrooms, and 6 kitchens. Carpenters even left nails half driven when they learned of Mrs. Winchester’s death. According to the provisions of her will, Mrs. Winchester’s personal property, including the furnishings, household goods, pictures, jewelry, and papers were left to her niece, Mrs. Marian Merriman Marriott, who promptly had the furnishings auctioned off. It is said to have required six trucks working six weeks to cart the furnishings away! The mansion and farm were not mentioned specifically in the will. They became part of Mrs. Winchester’s estate and were sold by her trustees, the Union Trust Company of San Francisco. What was Mrs. Winchester’s true motivation for devoting the second half of her life to building what is now known as the Winchester Mystery House™? No one can say with complete certainty, for no one ever interviewed her and she left not a single journal. Since Mrs. Winchester’s death, hundreds of wild stories have appeared about this mysterious woman and the sprawling mansion that bears her name. It seems odd that none of her relatives or former employees ever came forward to contradict these stories, despite that fact that some of them lived more than forty years after Mrs. Winchester’s death. For some reason, did they feel threatened by talking – or did they feel the need to continue to guard Mrs. Winchester’s privacy even after her death? At the Winchester Mystery House™, we may never be able to separate fact from legend – so this book will present a variety of stories that have been told since the turn of the century. We leave it to our guests to decide for themselves why Mrs. Winchester really built the house in the manner she did. A House Built For Spirits? We may never know for sure if Mrs. Winchester built her house to accommodate the spirits, but over the years the story has come down that she believed her life was unavoidably affected by departed souls. Presumably she wanted to be friendly with the “good” spirits and avoid the “bad” spirits – and the way to be friendly with the “good” spirit, it seemed, was to build them a nice place to visit. Was Mrs. Winchester making a special effort to please her spirits companions? In any case, for nearly thirty-eight years, the round-the-clock sawing, sanding, and hammering at the Winchester Mystery House™ never ceased – not even on weekends or holidays. It was never a rush job. Mrs. Winchester had all the time in the world – at least, all the time needed to maintain a steady pace. With her financial freedom, she was content to honor whatever whims came from her imagination and from the spirits she believed were guiding her. When people ask me if I believe in ghosts, I always tell them the same thing: “I’ve never seen a ghost, but I’d walk ten miles if I thought I might.” I’ve always loved ghost stories, and the legends and tales of the Winchester Mystery House™ are among my favorites. The notion of a house built either to confound the spirits or to house them, depending on whom you ask, seems so full of spooky potential. During my time at the Winchester Mystery House™, I was fortunate enough to collect alot of ghost stories. Some of them were quite recent, but others happened many years before I worked there. All of them had been told many times, by many different people, and in being passed around, their rough edges were worn down until they became well polished gems. They were all told to me as if they were true, and when the person telling the story believes in it, then it doesn’t matter whether you believe in ghosts or not. You’ll still experience that familiar shiver. All old houses are haunted in one way or another, and these haunts have a way of playing tricks. Whether their tricks are the work of spirits or simply the result of wear and tear on old structures is a matter of debate, but the fact remains that the people that live or work in them usually have a story of something that might have been a ghost. The Winchester Mystery House™ is no exception. Since 1923, when the house opened to the public, the people who work in the mansion have described strange experiences. By themselves, these stories of creaking floorboards and rattling doorknobs don’t always seem like much, but over time they paint a portrait of a house with a spirit, or spirits, of mischief. One of the mansion’s caretakers related several experiences of hearing footsteps and breathing in the empty house late into the night, long after the mansion emptied out. On one lonely night, he heard the sound of a screw slowly turning, followed by a "plop" as it fell to the floor, but when he turned on the lights he could find nothing out of place. Could it have been one of Mrs. Winchester’s carpenters continuing his work? If so, perhaps he was the same mysterious stranger who appeared in a photograph the caretaker’s friend took at the house one New Year’s Eve. After all, the man, whom neither of them recognized, wore a workman’s heavy coveralls. Another longtime employee at the Winchester Mystery House™ seemed to become a target for the sort of pranks a mischievous spirit would play. As he closed the mansion up one evening, he locked the heavy doors to the main courtyard and then set the burglar alarm. When he turned back to check the doors, he found them unlocked. Of course, he was alone in the house at the time. On another occasion, after conducting a walkthrough of the house at the end of the day, he carefully locked all of the doors and turned off every light, but as he walked to his car he looked up to discover that all of the lights on the third floor were on. While anyone might forget to switch off a single light, he couldn’t imagine forgetting to turn off an entire floor’s worth. A final bit of mischief occurred in his absence, but it seems clear that he was the target. One morning, he arrived to find his desk drenched with water. All of the paperwork he’d left the night before was soaked through, and his pencil cup was filled to the brim. There had been a light rain the night before, but the walls and ceiling around the desk were bone dry and undamaged. When I tell people about working at the Winchester Mystery House™, the first thing they always ask is if I ever got lost in the mansion, and their second question is usually: were you ever scared? The answer to both questions is no. I never got lost, and I was never afraid inside the house. I don't tell you this to brag. I’m not especially good at finding my way around, and I’m certainly not extraordinarily brave. The simple truth is that once you’ve walked through Mrs. Winchester’s house a few hundred times, it starts to feel pretty homey. That shouldn’t be too surprising. After all, dozens of servants called the mansion their home during Mrs. Winchester’s time, and others have lived on the grounds in the years since her death. With so many people making themselves cozy, it makes sense that one of the hauntings that’s been reported multiple times is the comforting odor of a hot meal. The first report of the phenomenon was nearly thirty years ago. A tour guide was doing some cleaning in one of the kitchens when she smelled warm chicken soup cooking. Keep in mind, the kitchens (there are six) in that part of the house hadn’t been used in decades. A few months later, a different tour guide reported the same experience, but she was accompanied by a tour group who all reported smelling the same thing. In fact, the second tour guide reported seeing hot steam rising into the air and a feeling of warmth when she passed her hand over the spot, just as if a large pot of soup were cooking. Other guides at the Winchester Mystery House™ told me similar stories, but I’m not sure if I believe them. Still, I like the idea of a kitchen haunted by something as nutritious and comforting as hot chicken soup. 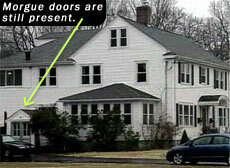 By 1900, Mrs. Winchester had more or less completed the exterior of her mansion. Photographs taken around that time show the house at its seven story height, its peak before the 1906 earthquake leveled the main tower, reducing the house to its current four story height. But even after she completed the outside construction, she continued to make changes. By some accounts, she remodeled the interior more than six hundred times. With that many changes, it’s not surprising that nearly every room in the Winchester Mystery House™ used to be something else, and sometimes this means that unlikely events are alleged to have transpired there. Take the second floor storage room for instance. There’s nothing stored in it today, but in Mrs. Winchester’s later years it was used to store household valuables like fine china and cut glass. Before that, it served as a hayloft above the part of the barn where her carriage horses were kept. Hidden just out of sight are a few “trap doors” where hay could be easily dropped to the horses below. It was in this room that a nicely dressed tour guest approached a friend of mine, another Winchester Mystery House™ guide, and asked him if he ever felt uncomfortable in the room. She explained to him that she could see past events, and that a terrible fight had taken place in the room. The detail about the hay surprised him because even though the tour script refers to the room as “The Hayloft,” he hadn’t revealed that fact to the tour group yet. “It started over there,” she said as she pointed to a dark corner of the room. “I guess they’d quarreled before because one of the men just walked right up and punched the other one square in the face. The other man, the one that got hit, grabbed some kind of sharp tool and started swinging it around. He shrugged the story off and went on with the tour, but later he admitted that the room had always felt uncomfortable to him. “Do you think it’s true?” I asked him. Early one evening, she led a tour group to the Servants’ Call Room, the third floor room that once served as an office and gathering place for Mrs. Winchester’s household staff. As usual, it took a few minutes for everyone to gather in the cramped room, so she made small talk until the stragglers caught up. As soon as the last guest arrived, she began her scripted description of the room. A few sentences into it, someone interrupted by calling her name. No one did, so she continued speaking, only to hear her name called again. “Did someone call my name?” she asked the group. Everyone agreed that hers was the only voice they’d heard in the small room. She tried to continue, but the same thing happened a third time. Excusing herself, she left the group and walked ahead to see if anyone was in the next room, but it was empty. She also checked the stairway that led down from the room, but found no one there either. In fact, this was the last tour of the day, and no other guests remained in the mansion. There shouldn’t have been anyone in that part of the house at all. She returned to the group, and without finishing her description of the the Call Room, led everyone to the next stop on the fourth floor. “Did it ever happen again?” I asked her. I asked her how, if it was a spirit calling her, she thought it knew her name. “It better know my name. I spend more time in the mansion than I do my own house. We’re practically roommates,” she said. “I just wish it would take a turn at dusting every now and then." Only a handful of photographs were taken of the Winchester Mystery House™ during Mrs. Winchester’s time, but we’re lucky to have any pictures of the house from that era at all. We forget sometimes how difficult and expensive photography was in the days before Kodak film and pocket sized point-and-shoot cameras, much less Digital SLRs and mobile phone cameras. To take any photograph at the turn of the 20th century required patience, skill, and costly equipment. One of the photographs is of some of the carpenters that built the mansion. It hangs in the gardener’s tool shed, and you can see it when you visit the grounds. The men stand shoulder to shoulder, some with youthful faces and others with gray beards. They were obviously skilled craftsmen and hard working. Mrs. Winchester hired only the best, and she paid better than any other employer in the area. Because the estate was so far from town, especially in the days before automobiles were common, many of the men lived there. Some of them even raised families on the grounds, in houses provided by Mrs. Winchester. Because of this, it wasn't unusual for those who worked for her to stay on for many years, but it might surprise you to learn that one of the men she employed may still be working in the basement of the mansion. For most of the last eighty years, the main basement has remained locked and inaccessible to visitors and employees alike, but a few years ago the managers of the Winchester Mystery House™ added a new tour. The new tour, known as the “Behind the Scenes” tour, takes guests into some of the other buildings on the estate. It also goes into some of the previously unseen rooms of the house, including one of the basements. Before the new tour could begin, many years of accumulated dust and debris needed hauling away. Since tours guides sometimes have down time or need to rest their voices after giving a few tours in a row, they got the job of sweeping up the basement. It took several months to completely clear the cavernous network of underground rooms and hallways, and during that time tour guides reported encountering someone they’d never met. He wore workmen’s coveralls and pushed a wheelbarrow. Most of them assumed he was part of the restoration crew that works full time to preserve and repair the mansion, but one of the guides asked the Tour Manager who the man was. Confused, the manager told him that no one else was scheduled to work in the basement. She asked what he looked like, and the guide described the man. They dropped the matter, but a few weeks later a different tour guide asked the Tour Manager the same question after a shift in the basement. “What guy?” asked the manager. This tour guide gave the same description: a man with a dark mustache, white coveralls, and pushing a wheelbarrow. No one else reported seeing the man until the Behind the Scenes tour opened to the public. One afternoon, a guest on the tour asked her guide about a man she’d seen in the basement. Tour guides are trained to be very aware of who is in the house at all times. It’s important to make sure that no one gets lost or separated from their group, and they keep an eye out for anyone in a place where they might not belong. No one was supposed to be in the basement, so after completing the tour he reported the incident to the manager, who must have noticed a trend by then. One day, while on tour of the gardens, a woman pointed to the photograph of the Mrs. Winchester's carpenters. The tour guide told the manager about it, and out of curiosity, the manager showed the photo to one of the guides that had reported seeing someone in the basement. People ask me if the house is haunted, and I tell them that I don't know, but some of Mrs. Winchester's employees seemed pretty loyal. Has Mrs. Winchester Left the Building? Over the years, many psychics and paranormal investigators have come to the Winchester Mystery House™ in hopes of contacting the spirit of Mrs. Winchester. The first recorded attempt was made in 1924 by the great magician and psychic debunker, Harry Houdini, who later spoke of Mrs. Winchester’s purported Spiritualism in his lectures against the movement. Others of a less skeptical bent, including some of the most famous psychics of the modern era, have held séances in the house. To the best of my knowledge, none of these attempts has been successful. For the most part, it seems that Mrs. Winchester has left the building. I’m happy about that. As much as I would love to round a corner in the mansion and bump into her, I’d prefer to think that she’s resting quietly rather than haunting the halls of “the house built for the spirits.” After a long life in which she experienced a great deal of pain, both physical and spiritual, I can only wish her a peaceful afterlife. Still, there is one story that makes me think she might not be completely gone. Several years ago, the Office Manager for the Winchester Mystery House™ was walking through the first floor when she noticed an older woman sitting in a chair in the formal dining room. The woman was small and dressed in Victorian-era clothing, and she didn’t look at or speak to the Office Manager. Later, she asked the Tour Manager why no one had informed her that there was a promotional activity that day. After all, she was the Office Manager, and it was important that she be kept in the loop. “What do you mean? There aren’t any promotions today,” said the Tour Manager. Together they went into the dining room, but there was no one there. The chair where the old woman had been was pushed into place beneath the table, undisturbed. I don’t know who the Office Manager saw that day. It could have been someone playing a prank, or it might have been an eccentric visitor dressed in period garb. But even if I’d prefer that Mrs. Winchester rest in peace, I don’t see why she can’t drop in to check on her house from time to time.